This afternoon I baked cupcakes with the housekeeper of a friend of mine. Her daughter has a tea party at school tomorrow and she needed to take cup cakes for the class. 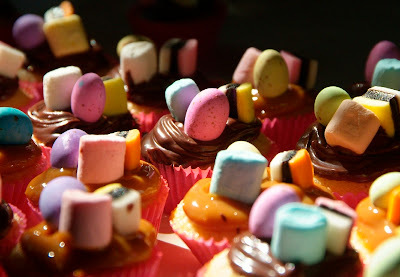 In my experience kids prefer sweets to cup cakes, so I suggested that we make mini cup cakes (about two bites worth of cake) and ice them with Nutella and caramel and decorate them with mini sweets. This way getting the best of both worlds. Most of the cup cakes were ready when the girls got back from school and they were besides themselves with excitement when they saw them! 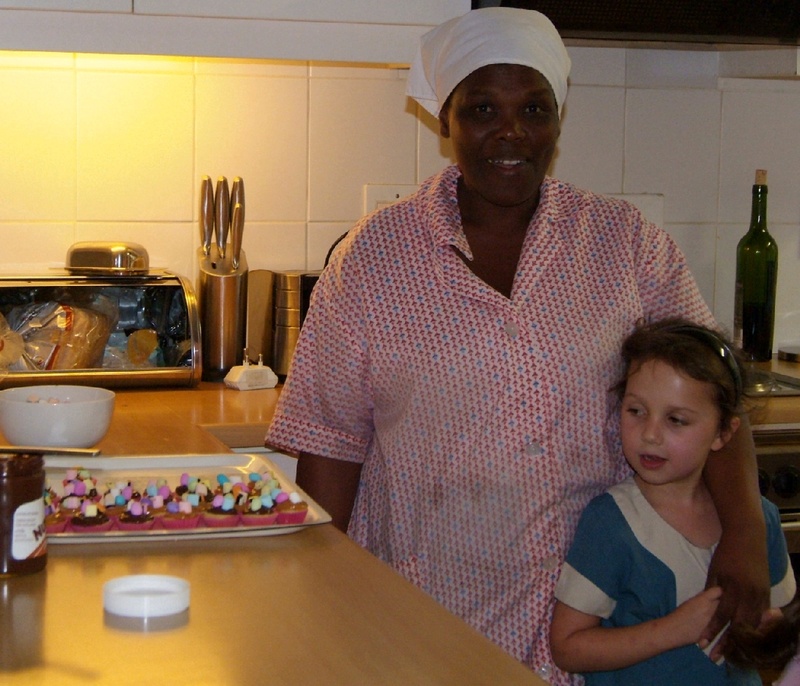 Luckily we had made extra so they could enjoy decorating and snacking on few today already. mini sweets of choice for decorating. With a cake mixer, blend together the butter and castor sugar until light and creamy. Add to this the eggs, vanilla and milk and blend to combine. Add the baking powder, cake flour, salt and blend until smooth. Place the cup cake papers into the holes of a muffin tin or on a baking . Spoon the mixture (or use piping bag, or zip lock bag with a corner trimmed off to make it easier) into the cup cake molds until they are about ¾ full. Bake for 10 – 15 minutes until golden and springy. Soften the caramel and nutella by stirring it for a minute or two. Add a pinch of salt to the caramel. Spread a thick layer onto each cup cake with a knife and decorate with sweets.